fighting along side him for the right to an education for all. introducing us to all of the wonderfully brave organizers in Phoenix. nice of Carlos to help me avoid fainting from heat stroke. the 60’s, walk outs that Carlos and the Brown Berets helped organize. up to the hypocrisy and the greed and the cruelty of our government. the rights of us all. UMN SDS: Solidarity with Carlos Montes! Students for a Democratic Society at the University of MN strongly condemns the FBI and LA County Sheriff department’s violent raid of Chicano activist Carlos Montes. We stand in solidarity with Montes and all those who are targets of the ongoing investigation of anti-war and international solidarity activists. 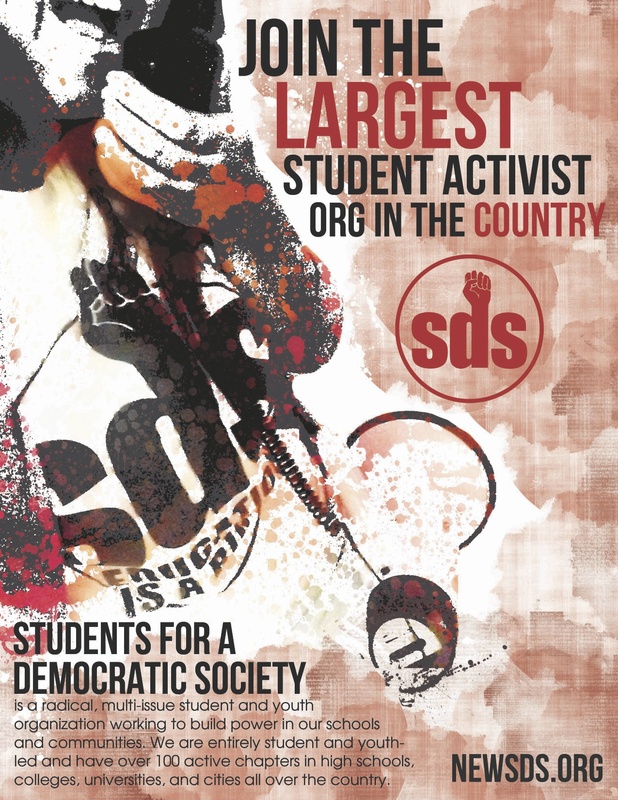 Students for a Democratic society recognizes the 5 AM raid on May 17, 2011 as part of an ongoing attack against activists and clearly a broadening of this investigation. The presence of the FBI during this raid and the attempt by the FBI to ask questions about their investigation make the connection to the ongoing investigation and harassment of peace and justice activists unmistakable. Moreover, the documents taken from Carlos’ home, including his computer, cell phones, and hundreds of personal documents have nothing to do with his charges regarding a firearm code and goes hand in hand with the ongoing harassment of peace and justice activists since the raids of 24 September in Minneapolis and Chicago. Due to his political involvement in the struggles for immigrants rights, Chicano civil rights, and the Committee to Stop FBI Repression, Carlos is clearly being targeted as part of a broad attempt by the federal government to silence opposition to policies of injustice, oppression and exploitation. Carlos has committed no crime and the attack on him is an attack on all activists involved in movements for justice. SDS stands in solidarity with the work and struggles of Carlos Montes and demands the FBI, LA County Sheriff Department and Federal Government drops all charges and stop their repression of all activists now! National SDS: Solidarity with Carlos Montes! The Students for a Democratic Society’s National Working Committee strongly condemns the recent attacks on Chicano activist Carlos Montes. We demand an end to the ongoing harassment of anti-war and international solidarity activists within our communities. Carlos is a long time Chicano and immigrant rights activist, he has been a leader in advocating for a better educational system for marginalized people in the state of California, and has staunchly committed his life and activism to anti-imperialism and international solidarity. We condemn the violent raid on of Carlos’ house which was carried out by the Los Angeles Sheriff’s Department and the FBI. On May 17th at 5 A.M. a SWAT Team smashed the front door of Carlos’ home and rushed in with automatic weapons as Carlos slept. The team of Sheriffs and FBI proceeded to ransack his house, taking his computer, cell phones and hundreds of documents, photos, diskettes and mementos of his current political activities in the pro-immigrant rights and Chicano civil rights movement. Also taken were hundreds of historical documents related to Carlos Montes’ involvement in the Chicano movement for the past 44 years. This attack comes at a time when FBI documents were revealed that indicated this witch hunt investigation the FBI is pursuing is not about keeping the people safe, it’s about criminalizing people for their ideas. This recent raid on Carlos’ house is a clear extension of the ongoing harassment of 23 anti-war and international solidarity activists. We demand an end to these COINTELPRO tactics and the attacks on activists! SDS stands firmly behind any one of our fellow activists and community members who struggle towarda a better future for us all. We believe in freedom of speech and freedom of association – the ability to affiliate oneself with any political ideas of one’s choosing. True democracy is the expression of ideas without reprimand. Drop all charges against Carlos Montes! Stop all attacks against anti-war, international solidarity, Chicano/Immigrant Rights activists! Call off the Grand Jury, and revoke the subpoenas! Sign the national petition to Drop the Charges Against Carlos Montes, Stop the FBI Attack on the Chicano and Immigrant Rights Movement, and Stop FBI Repression of Anti-War Activists NOW!